After teaching hundreds of engaged, intelligent and diverse adult learners in Baltimore, we are thrilled to announce that we are planning to inaugurate this internationally acclaimed program here in Harford County! Are you looking for a profound understanding of what it means to be Jewish? Melton sets the standard for high-quality, text-based, interactive Jewish study by offering world-class curriculum that informs and inspires people from all knowledge-levels and backgrounds. Join us to explore the texts of our tradition and discover how they relate to us today. Year two of the next 2 courses in the Melton Core Curriculum, is officially live and accepting registration for the Fall semester. Courses will begin on Thursday, September 28th from 6:45 PM – 9:00 PM and continue on selected Thursdays through May 2018. 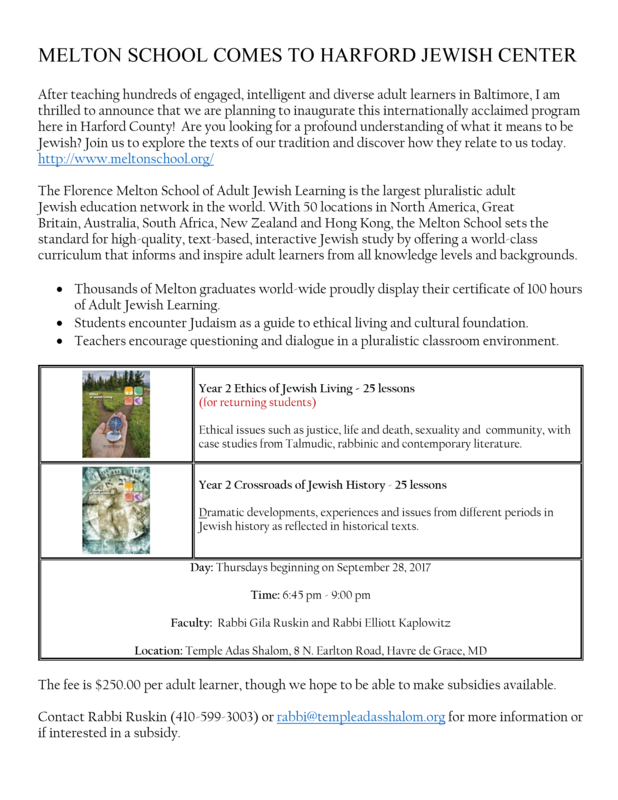 All the dates for the course are currently listed on the Temple Adas Shalom calendar. Both Rabbi Ruskin and Rabbi Kaplowitz will once again teach the courses. If you have not yet done so, please also take a moment to visit the online course evaluation form. Your feedback is incredibly important to us. You can access the Core Year 2 Evaluation Survey by clicking HERE. 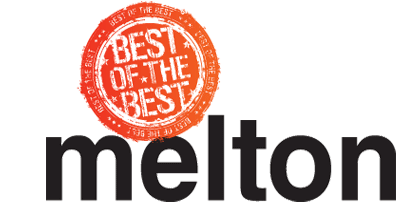 Thank you for being a part of the Melton Family. We hope to see you in September!